In 1983, the Architectural Foundation of Santa Barbara (AFSB) established a Scholarship Grants program to focus on the profession of architecture with a generous donation from major founder and Santa Barbara Architect, Pierre Claeyssens. Since that time new funders have joined to increase the funding and yearly grants. 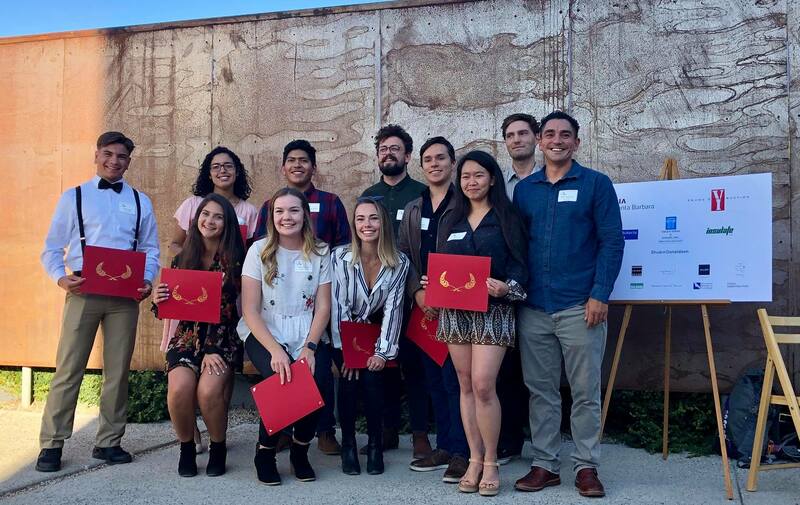 To date, over $1,300,000 has been given to students studying in the fields of Architecture in Santa Barbara County. The annual awards generally exceed $50,000 and distributed to 15-20 students. AFSB partners with the Scholarship Foundation of Santa Barbara, a local non – profit, to maintain the funds and do the administrative work to select the recipients based upon AFSB’s directive criteria. An annual Scholarship Reception and Awards Ceremony is held each year at an inspired location to celebrate and honor the students who have received awards that year. AFSB encourages and embraces the scholarship recipients to be involved and serve their communities as they pursue their careers and is delighted when some have returned to Santa Barbara and joined AFSB to be part of the team as program volunteers and Directors on our Board. AFSB Scholarship Fund – This general fund is for exceptional students studying Architecture, Landscape Architecture, Architectural History, Architectural Preservation, or Urban Planning. Lutah Maria Riggs Fund – This fund honors Santa Barbara’s own pioneer Architect who was the first woman to be named a Fellow of the American Institute of Architects – the highest honor bestowed upon AIA members and who designed some of Santa Barbara’s most beloved and prominent structures. This fund goes to a student showing exceptional scholastics in their field of study. Santa Barbara Beautiful Fund – Santa Barbara Beautiful is a non- profit and longtime partner of the Architectural Foundation involved with the promotion and appreciation of the importance of beauty in architecture and landscape architecture. This fund focuses on a student showing commitment in their field of study and excellence in their internship or work experience. The Sustainability Project Fund – The Sustainability Project of Santa Barbara for years highlighted, educated, and promoted the importance of Sustainability in our world and especially in the built environment. This fund is designated for the student who demonstrates interest and understanding of the importance of design that addresses sustainability for a healthy environment. Cassandra Ensberg & Tom Jacobs Art in Architecture Fund – Cassandra Ensberg is the second woman architect to become a fellow of the American Institute of Architects from the AIA Santa Barbara Chapter. She and her architect partner and husband Tom Jacobs have created this Art in Architecture fund to recognize a student who shows ability and understanding of the importance and essential connection between Art and Architecture. Anyone interested in contributing to the AFSB Scholarship Funds or creating a new scholarship should contact AFSB at 805-965-6307. For those wanting to apply for a scholarship, you can find more information on the Scholarship Foundation of Santa Barbara website. Many scholarship recipients have expressed their gratitude for our support of their education in the fields of architecture, landscape architecture, and planning.